the trick is to think outside of the box... the toolbox that is... Hahaha! The first thing it needed was a good scrubbing to remove the spiders and dirt that must have been on this for longer than I have been alive! yes, you know it... you will see those other 2 drawers again! Here is one of those projects. I drilled a bunch of holes on the bottom of the 2 largest galvanized steel drawers for drainage. 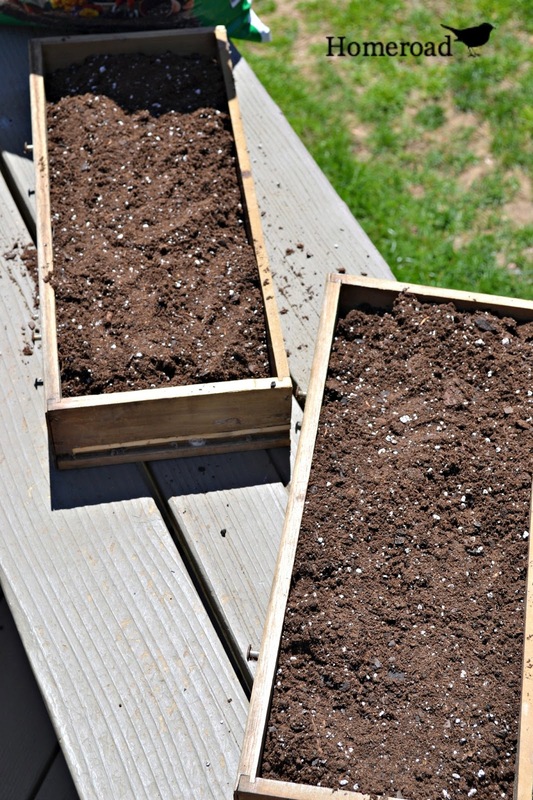 Then I filled the drawers with potting soil. The weather has finally gotten beautiful around here so I am using flowering ground cover that will hopefully overflow the drawers sometime soon. I added succulents and a few other plants that will sustain the direct sun on my deck. 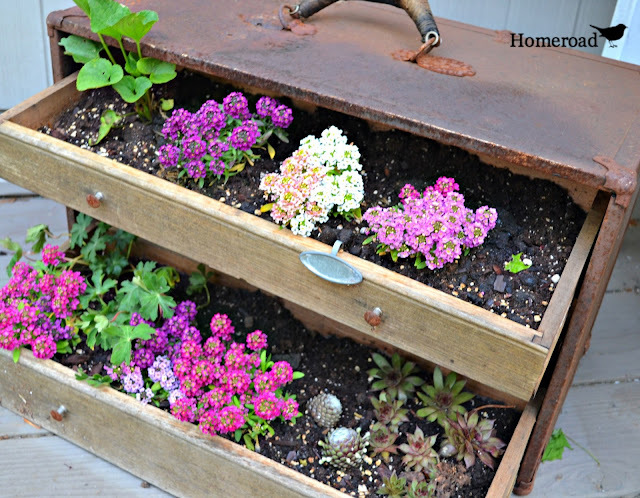 Filled with flowering plants, this old toolbox never looked so beautiful! One of the best parts is that it is portable. 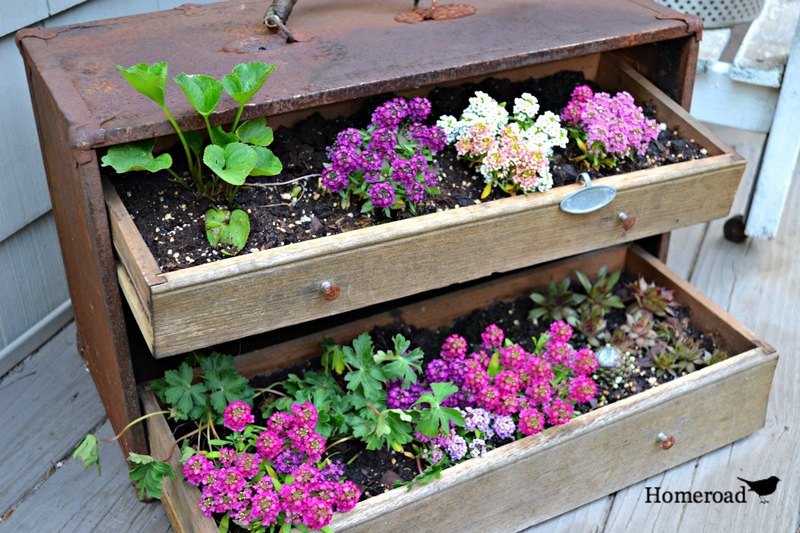 A creative and beautiful planting alternative. I love it, Susan! If a toolbox can be called "pretty" this one certainly is! I love it!! 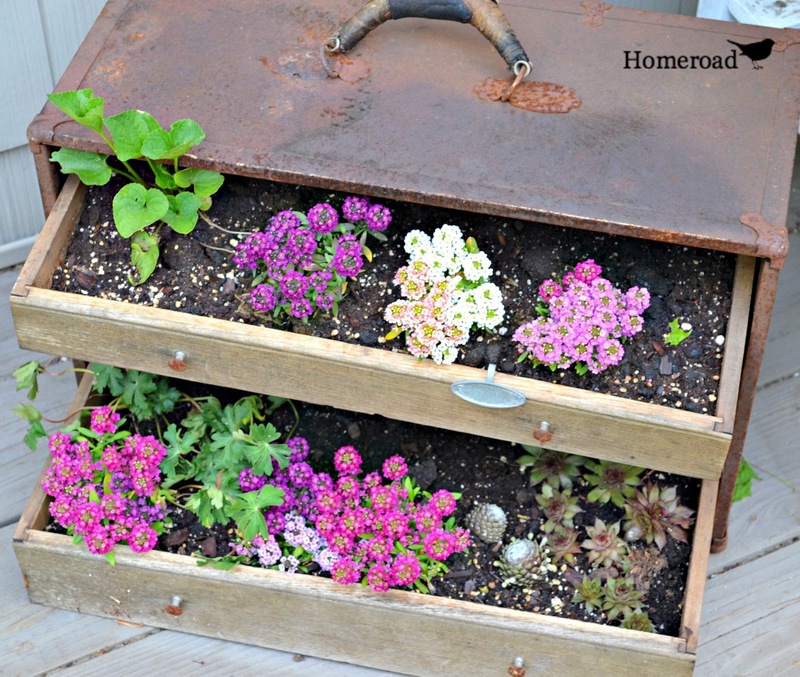 What an awesome idea for the old tool box, it looks fabulous!!! 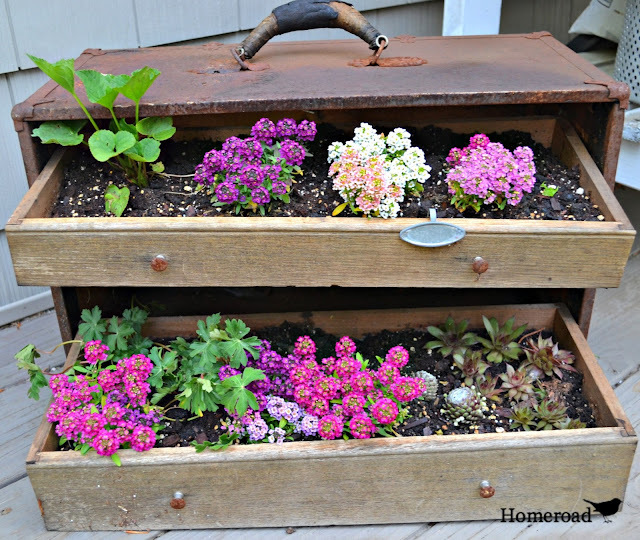 love the toolbox planter Susan! so cute! This is great! Where did you get that old toolbox? It was sure rough but I see that flowers took care of that and it is definitely now trash to treasure. Love it! I'm on the lookout for stuff I can turn into planters & portable is a good thing. How much do I adore this?!? Lemme count the ways... too many! The drawers really take this idea to the next level. I soooo love this! Love this! The flowers and vintage goodness look so good together. Amazing idea...! !Loved the whole look of it...!! Oh my, how creative and it is so pretty! But, Susan...if you leave it like that the wooden parts of the drawers will eventually rot away. What are your long-term plans for it? Love it! What a unique piece and a wonderful planter. ok, my system just crapped out, so gonna do this again. again, I just found this post and I love it!!! and I did poke around a bit,,,,,good stuff!!! thanks for sharing!!! Portable is good since you're in the middle of a blizzard!!! Love this vintage toolbox garden Susan. Pinning, and sharing on Facebook. Thank you my friend :) Brrrrr!